Note: At time of writing, both Preston Mihalko and Nick Abbenante were employees of Ives Equipment. Automation jobs require a combination of technical know-how combined with interpersonal skills, making them a great fit for veterans. It’s always difficult to find suitable candidates for openings in industrial automation as most of these jobs require both technical and interpersonal skills, often with a bit of management expertise added to the mix. Universities graduate hundreds of thousands of mostly young men and women every year with business and liberal arts degrees, and many of these grads have excellent interpersonal skills, but generally aren’t very technical. Engineering and other STEM graduates have the required technical background, but are always in short supply and command very high salaries. And many of these grads are a bit lacking in interpersonal skills as they have spent their formative years relentlessly hitting the books, not developing relationships. As far as management skills, these are best gained through on-the-job training, where actual supervision takes place. Unfortunately, not many candidates for entry and mid-level automation jobs have this type of experience. But veterans naturally combine all three of these skills, as just about every position in each branch of the military requires training and hands-on experience in one or more technical areas. Interpersonal skills are developed by forced close cooperation among those serving, and many relatively young veterans have impressive experience managing teams as commissioned and non-commissioned officers (NCOs). If fact, many would say NCOs, in particular, make great job candidates because they have risen through the ranks to become the backbone of the Army and Navy as sergeants and petty officers, respectively. Preston Mihalko and Nick Abbenante are two great examples of veterans who have made the successful transition from the military to industrial automation, and their stories illustrate how their skills seamlessly transferred from the military to the civilian sector. Mihalko spent three years as a service warfare officer in the Navy. He was onboard a ship for much of this time as his specialty was anti- submarine warfare. Technical training was part of daily life as he was required to understand ship operations, as well as the specialized equipment used to detect submarines. In many ways, a ship is a small city at sea, with larger vessels crewed by thousands, and even smaller ships crewed by hundreds. As such, there are onboard systems for everything from propulsion to electrical generation to water treatment. And, of course, these systems need to be monitored and controlled around the clock, with very stringent requirements for reliability and uptime. The mechanisms of a nuclear submarine or large surface ship rival any industrial installation, so the parallels between onboard and industrial automation systems are obvious. It’s virtually impossible to serve aboard a ship for any length of time without absorbing extensive technical knowledge and gaining lots of hands-on experience. As far as interpersonal skills, these are naturally gained by living in very close quarters with hundreds or even thousands of sailors. These colleagues span the range from front-line workers to supervisors, starting with newly enrolled sailors and advancing to experienced ship captains. Close cooperation is forced, and virtually no one leaves the Navy without knowing how to develop and maintain work relationships with people from every walk of life and exhibiting most every temperament. If one is an officer, like Preston, then these work relationships contain a supervisory component. The management training given to officers in the Navy and other branches of the service has been honed for over a hundred years, and it consists of both book learning and hands-on experience. Those who move up the ranks exhibit a strong sense of personal responsibility and judgment, giving them the ability to lead and work effectively with others. Upon his honorable discharge, Preston was looking for a career where he could successfully combine his interpersonal and technical skills. “I was interested in sales and not operations because I like being in front of customers, and because I enjoy face-to-face technical interactions. I first went into medical device sales, then from there to industrial automation sales,” says Mihalko. Successful industrial salespeople must work with application- driven products, as does Mihalko, and therefore need to exhibit a combination of capabilities. Technical skills are needed so salespeople can understand the products and how they t customers’ needs, and interpersonal skills are required so salespeople can properly communicate how products satisfy customer needs and expectations. Mihalko found the specific skills he learned in the Navy transferrable to the field of industrial automation. “I was able to apply shipboard systems and concepts to understand industrial automation issues. Interaction with equipment on a daily basis helped me to gain hands-on experience and understanding, which I found applied both on board a ship and on land. In terms of intangible benefits, I gained the ability to network with co-workers through my interactions with other Navy personnel,” he notes. Fittingly, Mihalko uses nautical terms to describe the position he’s held for the last three years working in outside sales for an automation distributor based in the Maryland/Washington, DC area. “I’m the captain of my own destiny in outside sales, and I enjoy marketing myself along with the brands I represent. The challenge of the uncertainty and having to figure out solutions is also appealing,” he indicates. As the iconic ad intones, the Marines are “looking for a few good men.” Nick Abbenante thought he might t the bill, and he ended up serving for four years as a Marine Corp First Commander Infantry Officer. In this position, he worked as a military occupational specialist in the areas of combat and weapons. Abbenante’s plans weren’t as specific as Mihalko’s, but were similar in many ways. “I wanted direct interaction with customers, and knew I wanted to be in outside sales,” he says. As a member of one of the most tightly woven cadres in any branch of service in any country, Abbenante knew what it meant to work closely with and depend on others. These interpersonal skills and deep relationships were something he could transfer directly to a sales position. Sales, like many other areas of industrial automation, requires organizational skills, which Abbenante felt he gained in the service. “The Marines taught me the value of prioritizing, multi-tasking, attention to detail, taking initiative and persistence. And, like any branch of service, not being afraid to get involved,” he explains. Abbenante combined his skills and training to find the type of job he wanted in industrial automation, where he’s worked for the last two years as an outside sales rep with responsibility for the company’s Maryland territory. He works very closely with process plant personnel in this position to help them analyze applications, and specify the proper equipment to solve problems and optimize processes. “Being a salesperson is like having my own little enterprise. One must show ownership and take stock in the success of your own business territory, which contributes to the success of the larger enterprise. Every day brings new challenges at different plants,” he notes. Both Mihalko and Abbenante have some advice for other veterans looking to make the transition from the military to industrial automation. Some people look at military life and don’t immediately see the connections to the private sector. To an employer considering a recently discharged candidate, or even a new veteran moving back into civilian life, there may seem to be a gap. Abbenante thinks both sides are looking at it incorrectly, and need to reconsider how to match military skills and experiences with job requirements. “Don’t look for an exact match to your skills, but instead look for positions with requirements complimentary to your knowledge, and then build upon that,” he suggests. Mihalko chimes in with his advice: “You have an open-ended career choice because you’ve gained many different skills in the service. Sales is one area, but there are many other avenues which might match up your skills and abilities,” he points out. And both Abbenante and Mihalko encourage disabled veterans to look for positions in sales and other areas where heavy lifting and other physical rigors aren’t involved. “Sales gives you the opportunity to solve problems and think on your feet, but not necessarily in a physical way,” Mihalko emphasizes. Mihalko used the services of the military to find private-sector work. 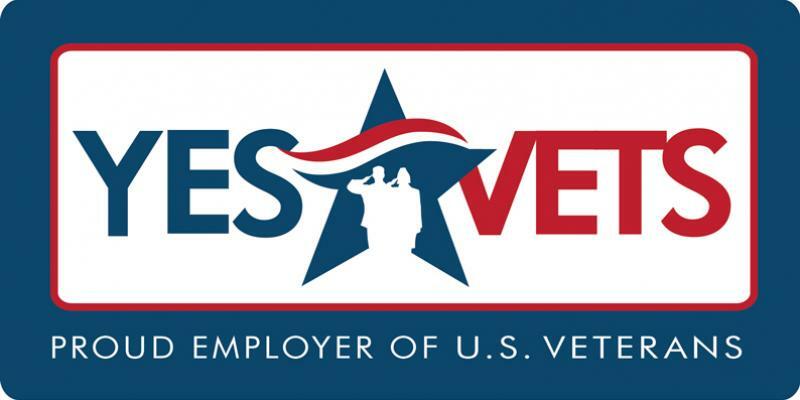 “I went through a transitioning veterans’ organization to find a position. I attended a career event with interviews set up based on my resume’s match with available jobs,” he says. Abbenante took a different route than Mihalko. “I worked with headhunters I met at a conference, and they assisted in setting up interviews,” Abbenante notes. Although Abbenante and Mihalko served in different roles in the military and followed their own unique paths to find positions in the automation eld, both are proud to be automation industry professionals.